On days where I am in the office I'm up early, I get my outfit out the night before, make sure my overnight oats are ready to go so all I have to do is turn the kettle on....and get ready that is. I have recently been cutting right back on my work days' morning time face, I do have time - everyone has time if they make it, but at 6.15am I can only do so much. I also make sure that the night before I keep it light - there's no need to overload your skin with multiple serums and oils everyday. The main change and cheat here is not using a cleanser with water. No flannel, no muslin cloth *shock horror*. 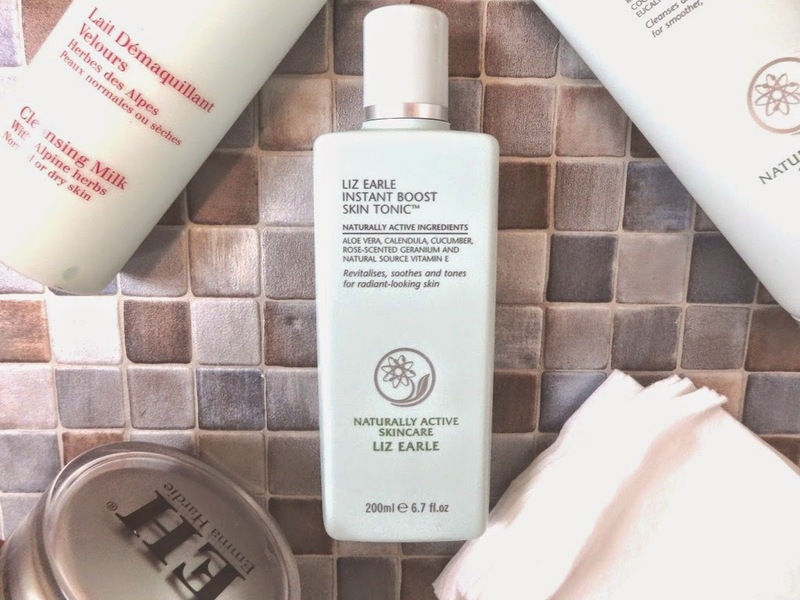 I use Liz Earle's Instant Boost Skin Tonic - thats all. Obviously I then go in with my usual serum, eye cream and day cream but this cuts time in half. Due to the ingredients and quality of the product it does do everything my skin needs in the AM. I normally use 2 large cotton pads and sweep from forehead to décolletage to rid my face of any left over products from the night before as well as all the natural oils like appear whilst one is sleeping. I am really enjoying this in the morning and it has not made a negative impact to my skin at all. I think the key things to not 'properly' cleansing in the morning are; always take your make up off , deeply cleanse the night before and use something gentle that does not contain alcohol. All in all this skin care cheat works, it certainly does not replace a proper cleanse which will always be my recommendation and my first choice but for when time is tight and you still have your pjs on this is a good go to - it is the closest I will ever get to wipes!